One year ago, we released The Frozen Wilds – an expansion for Horizon Zero Dawn that adds a whole new chapter to Aloy’s quest, including new territories to explore, new quests to complete, and dangerous new machines to hunt. In honour of the expansion’s one year anniversary, we sat down with two of our developers; Richard Oud and Pinar Temiz, to talk about breathing life and character into one of The Frozen Wilds’ fiercest additions: the bear-like Fireclaw. The team set out to develop the bear concept into a pair of full-fledged machines, starting with a set of design document and visual design concepts. 3D models of the machines were then created and delivered to the animation department. “From there, we started creating tests and animations for the machines based on the movements and attack areas that were outlined in the design documents,” Richard says. Not everything in the design documents was implemented one-to-one. After a few tests the animation team felt that certain head-on attacks would be too difficult to read for the player. A bit of back-and-forth between the design and animation departments led to a mutually-satisfying solution. Once the machines were able to move and attack, the AI department put them in the game and Senior Sound Designer Pinar Temiz began the process of providing them with sound effects and vocalisations. 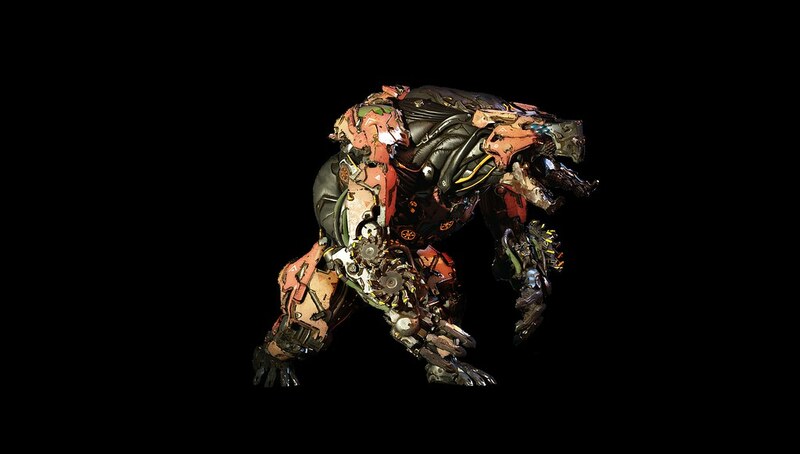 For the basic movements and walk cycles of the Fireclaw, the animation team had planned to reference nature footage of grizzly bears. Another important source of inspiration for the Fireclaw’s movements came from an unlikely place: YouTube clips of Red Pandas play-fighting. Combining their grunts with synthetic sounds and even human performances, Pinar then began layering and processing the snippets to achieve the desired vocalisations. A dilemma that animators and sound designers frequently encounter is repetition: if the motions or sounds of a character are presented in the exact same manner over and over, it quickly becomes artificial and grating to players. At the same time, development time and memory are finite resources, so throwing endless amounts of varied content at the problem is not a workable solution. 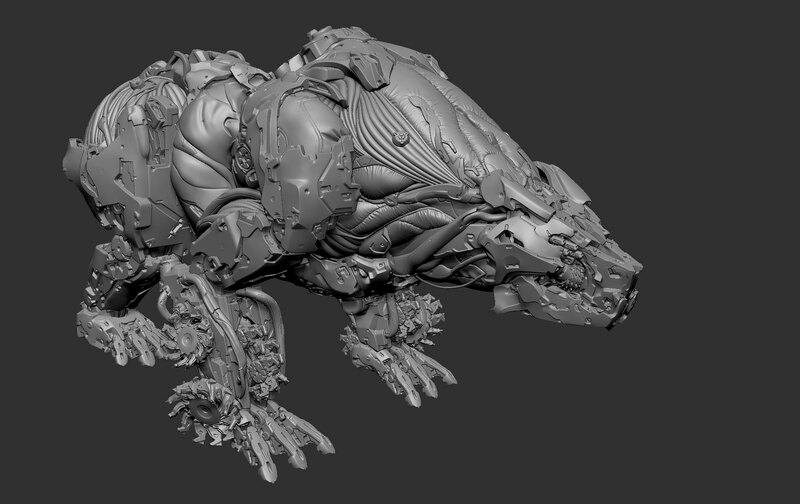 At Guerrilla, the animation and audio departments devised systems that use randomness to pick and mix from a limited pool of content in order to achieve variation. One particular barrier the animation department had to overcome stemmed from the fact that the Fireclaw and the Frostclaw could walk on four as well as two legs. 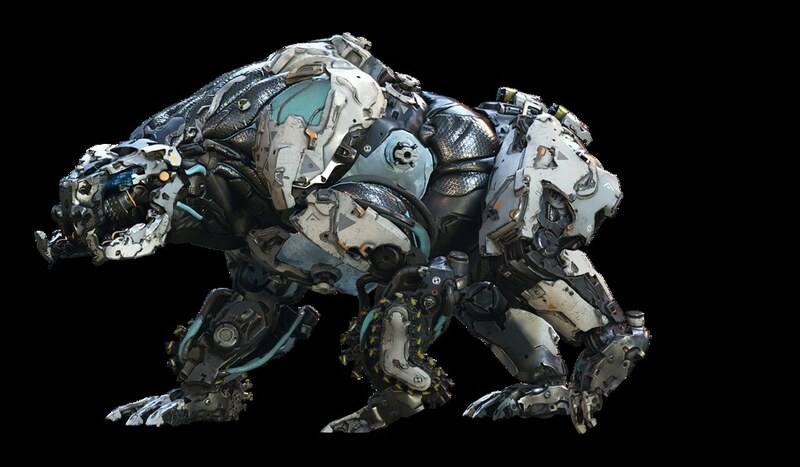 “As soon as we added a set of bipedal animations, it instantly started feeling like a guy in a metal bear suit,” Richard laughs. “So we had to comb through a lot of nature footage to find ways to fix that impression. Locking the hips of the machine during bipedal movement, which made its strides more awkward and ungainly, was one way we were able to mitigate the issue. Despite their different fields, Richard and Pinar both had very similar goals for the Fireclaw: to make it move and sound like a heavy, dangerous machine that could quickly attack and respond to the player without losing its sense of weight and physical presence. The end result meets those goals in every respect, presenting players with a formidable challenge with every encounter. 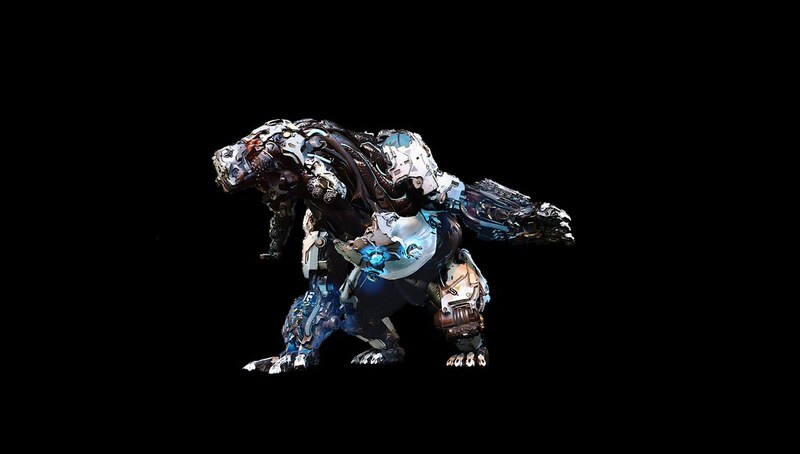 Even bigger and more powerful than its ice-based little brother, the Fireclaw can shrug off fire-based attacks and explosions like they’re nothing. It’s a lumbering hulk of steel and polymer that can easily rip huge chunks of rock out of the ground to use as shields or weapons. Seasoned players will find that taking down a Fireclaw is no simple task… but then, neither was building it in the first place. 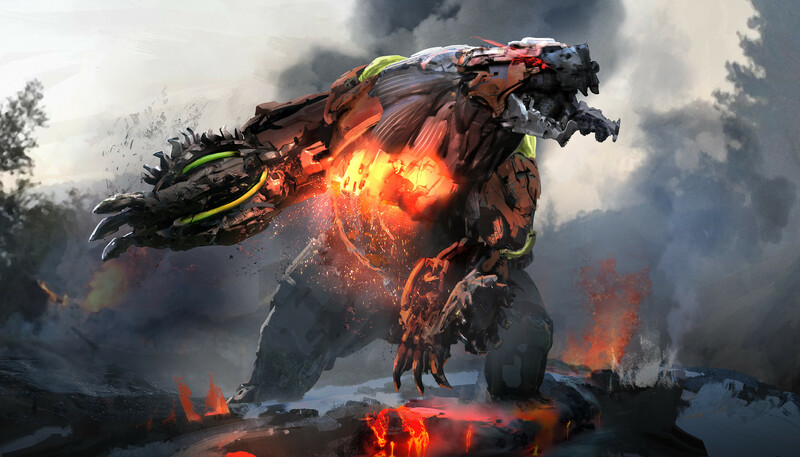 We hope you enjoyed this look into the creation of the Fireclaw! We’ll be celebrating the anniversary of Horizon Zero Dawn: The Frozen Wilds all week, so keep an eye on Guerrilla’s official Facebook and Twitter accounts for more content.